﻿Published by Sareth Ney on May 21, 2018 at 5:24 p.m.
Sareth Ney (SN): What inspired you to perform stand-up comedy? 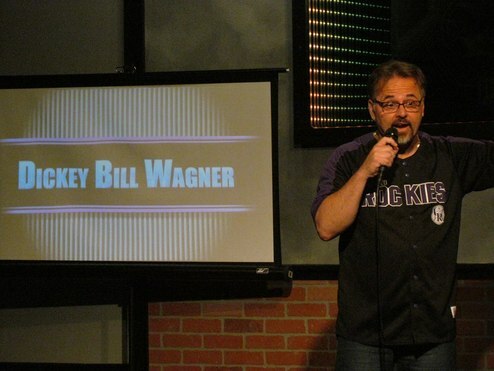 Dickey Bill Wagner (DBW): As a kid, I moved around a lot and I made people laugh to make friends. It was something that I enjoyed and when people were laughing, I get encouraged to get even more outrageous. I decided to give stand-up comedy a try, about nine years ago. It has been a big work in progress. SN: What was the feeling like, when you first performed stand-up comedy? DBW: It was like I was plugged into an electric current. I really liked it a lot and when it was it was over, it took me a little while to get back to normal. SN: What are your favorite comedy specials and record albums? DBW: I like Daniel Tosh’s stand-up a lot. I recently saw Hannibal Buress live and I am now a fan. I don’t mind recorded stand-up but the live experience is far better, in my opinion. SN: What are your favorite sketch shows, sitcoms and comedy films? “Deadpool” and “Deadpool 2”. It had a great sense of humor in the writing and delivery. I remembered howling while watching “There’s Something About Mary”, back in the day. I do like Ben Stiller’s movies. SN: If you could go on tour with any comedian, which one would you choose? DBW: Jeff Foxworthy is a master comedian; I would love to tour with him. I think Ron White would be a lot of fun to tour with. SN: If you could get roasted by five comedians (past or present), which ones would you choose? SN: Which other forms of comedy would you like to venture off into? DBW: I think I would like to perform sketch comedy and write funny stories. SN: What experience would you like for your audience to take with them, after a set is over? DBW: My goal is to make my audience feel really good after my set because they laughed so much. I want them to remember the great feeling and want to come back to another show. SN: Where do you see your comedy career, in the next five years? DBW: I see myself working 50 weeks a year, full time, as a national level headliner and performing in theaters and clubs. ​Editor's note: This interview has been lightly edited and condensed for clarity.